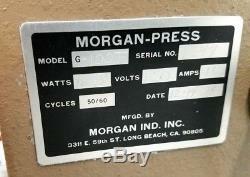 This Morgan Press has been in storage and never used... So basically it's new. 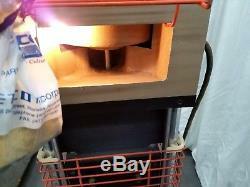 It comes with 2 nozzles (one spring loaded and one regular) plus it has a Morgan Mold Preheat Plate. Plugs into a regular outlet! Just needs a compressed air hookup. The Morgan-Presses are versatile injection molding machines designed to reduce the costs of production. 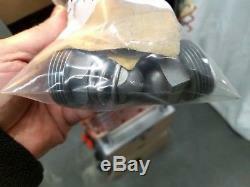 Its unique design was especially developed to make injection molding of plastic parts practical and economical in the quantities required for rapid prototyping and low-volume production. 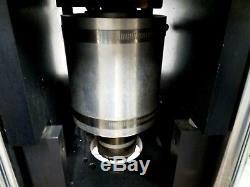 This makes it ideal for model shops, medical device manufacturers, R & D labs, jewelry (lost wax) and many other plastic injection molding applications that require short-run production needs. 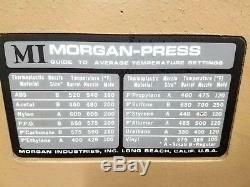 Standard Features on All Morgan-Press Machines. Solid State Temperature Controllers - featuring analog set point and readout, 0-800°F (0-430°C). Injection Speed Control - for adjusting injection speeds slower and faster where cavity fill rates are critical. Heavy duty cast aluminum construction. Hardened and chrome-plated barrels (material melt cylinders). Precision ground chrome-plated stanchion rods. Generous 8" x 11" (maximum) mold plan area. Convenient hook-up requirements, 120 volt AC, compressed air 160 psi max. Temperature Control Range: 0-800°F (0-430°C). Mold plan area: 8" x 11" (maximum). 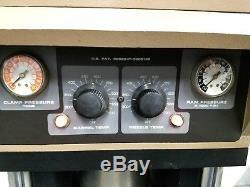 Utilities required: Electrical 120 volts AC; Compressed air 160 psi max. 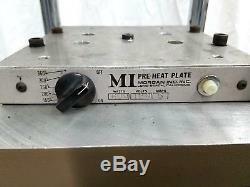 Comes with optional Morgan Preheat Mold Plate. All information deemed accurate but may vary from model to model. For any questions you may have.. Fast Application, its all filled in for you.. Please Note: Not all machines may qualify for Leasing. We accept all Major Credit Cards, Bank Wires, Company and Personal Checks. We always get better rates. Just include the zip code when inquiring and if you have a loading dock or ground level with forklift. CONDITIONS: All quotations are for immediate acceptance. They are subject to withdrawal, change and prior sale without notice. All orders received are binding only when they have been accepted and acknowledged by us in writing. Unless otherwise specified, prices quoted are F.
Care is taken to give reliable specifications, but these are not guaranteed. We reserve the right to correct typographical errors. INDEMNIFICATION: Used Machines may not incorporate approved activating mechanisms, operator safety devices or safety guards as required by OSHA or otherwise. It is the user's responsibility that the said machines be so equipped and safeguarded to meet OSHA and any other requirements before placing such machinery into operation. 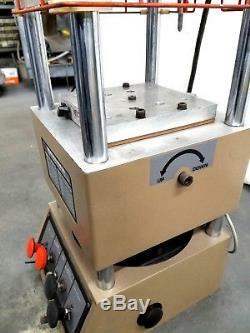 The item "Morgan Industries Plastic Injection Molding Machine 4 oz. 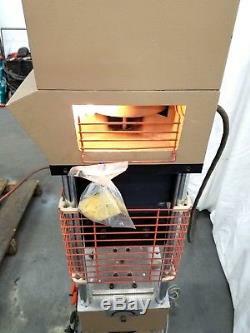 G-100T Bench Top 120V" is in sale since Sunday, November 18, 2018.